Last updated 21 November 2018 . By Georgia Evans. NYC-inspired hangout East River is the newest addition to trendy South Liverpool street, Allerton Road, cementing the location as one of the city's thriving foodie hotspots. 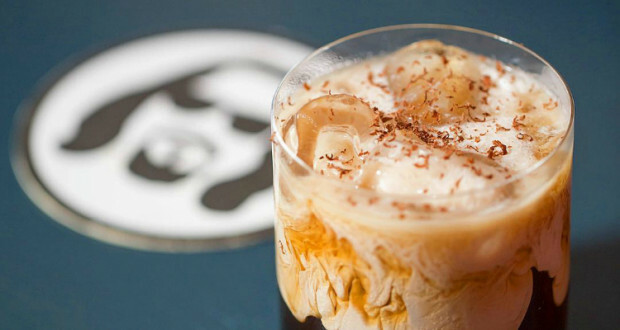 The drinks menu features idiosyncratic concoctions such as Dude's Breakfast, a nod to the Big Lebowski, which consists of Coco Pops breakfast cream, along with the Catalina Wine Mixer, a Step Brothers reference for all you millennials. Along with the rather intriguing East River Snapper with Tanqueray, Fino sherry, tomato juice, mushroom ketchup, basil, lemon juice and seasoning, there's also a selection of brunch cocktails for those who favour the classics. It's not just about the booze though, as guests will be able to recline in the blushed pink furnishings with a classic New York bagel. A selection of toppings and spreads are available, the New York gives a real taste of the East Side with bacon, cream cheese, tomato, red onion and pepper, as does the Reuben with homemade salt beef, and the Hipster with smashed avocado. East River will also host bottomless brunches every weekend between 12pm - 8pm, with a private hire area or space for a DJ upstairs should the party carry on.